The renowned Chittur Konganpada is a classic example where religion is fused harmoniously with mythology and history. 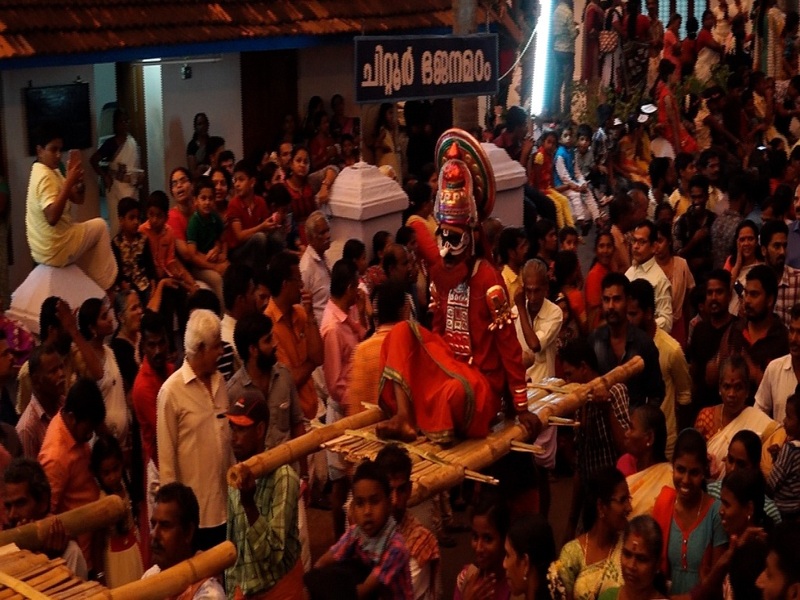 The festival is celebrated at the Chitturkavu Bhagavathy temple, about 11 km from Palakkad town. Historically the celebrations here commemorate the victory of the Chittur Nairs (Nairs were the warrior community in Kerala) over the militia of nearby Konganadu during 918 C.E. 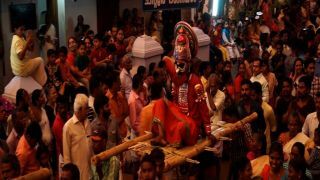 It is said that there was constant fight in the Palakkad region between the Kerala kingdoms on the western side and the princely state of Konganadu on the eastern side of the Western Ghats. On the third day of the Konganpada festival, 101 rounds of the kathina vedi (iron pipe crackers) commemorate the historic victory. 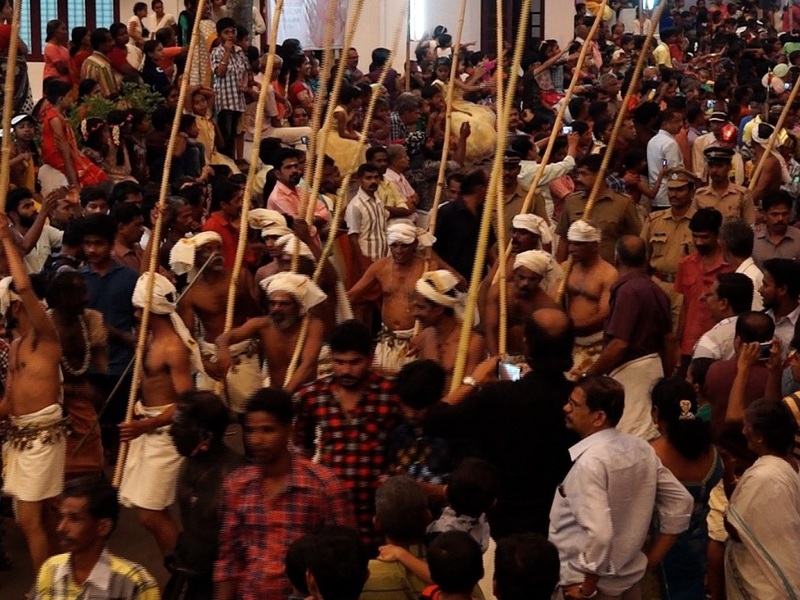 Later, there is a kolam procession of little boys dressed as girls carried on the shoulders of men. At night, men engage in mock fights wearing buffalo head masks to symbolize the dead buffaloes of the Konganpada.